Black holes are known to devour everything that comes across their path, including stars and even galaxies. They have voracious appetites that no one can explain, while the matter that enters them gets devoured as if it ceased to exist. However, some things are capable of escaping its ferocious grasp, and a new study sheds light on how particles escape black holes. Scientists still can’t seem to understand how black holes use their energy, which is locked up in their rotation, and produce plasma jets at light-speed and launch them far out into space. Scientists working at the Department of Energy’s Lawrence Berkeley National Laboratory and UC Berkeley created simulations which are a combination of some older theories which show how particles escape black holes. The simulations could provide a comparison with high-resolution observations conducted on the Event Horizon Telescope, which are made to create the first images of the regions where the plasma jets, which the black holes produce, are formed. More importantly, the telescope will provide new observations of the super-massive black hole lying at the center of our galaxy. The new study also sheds light on a theory which explains how electric currents form around black holes and twist magnetic fields causing them to form into plasma jets. However, computer simulations have a challenging time presenting the complex physics behind plasma-jet shooting, which shows how pairs of electrons and positrons are created. The simulations show new techniques which make the first model of collisionless plasma. That said, when a collision between charged particles occurs they don’t play a major role when it comes to strong gravitational fields which are around black holes. Scientists created simulations in a way to produce effects like the Blandford-Znajek mechanism which shows how the magnetic fields form plasma jets. Additionally, another process called the Penrose process describes the negative-energy particles which get swallowed by the black hole. 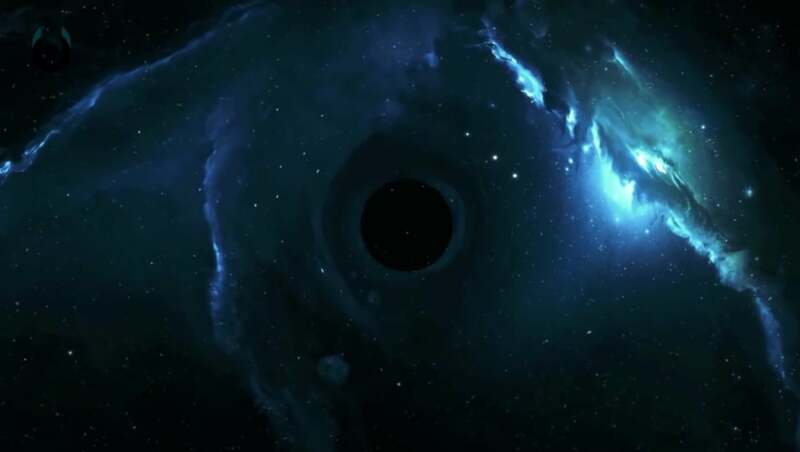 The Penrose process, “even though it doesn’t necessarily contribute that much to extracting the black hole’s rotation energy, is possibly directly linked to the electric currents that twist the jets’ magnetic fields.” Parfrey said in the statement. The research team wants to improve and model the processes in which pairs of electron-positron particles are created so that they can further study how particles escape black holes. The more realistic model will be easier to compare to already made observations. “We hope to provide a more consistent picture of the whole problem,” he said.